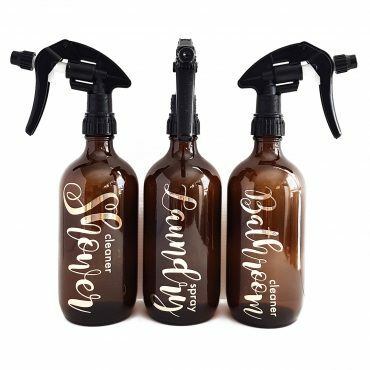 There is a choice of two label sizes, 11.5 & 10.5cm long, with the width depending on the length of the word, the more letters the narrower the decal. 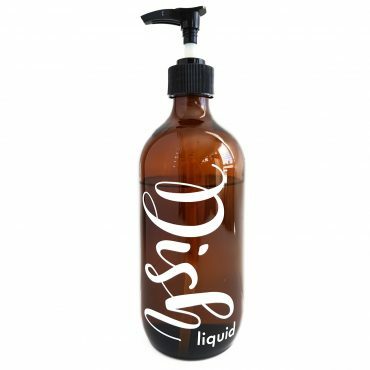 The 11.5cm label is a perfect fit for our glass 500ml bottles and 375 ml foaming bottles, whilst the 10.5 cm is the best fit for our 500ml PET bottles. Alternatively they can be applied to any bottle you have at home. Select label wording and colour at time of order. Font is as shown in the images. The first word is the larger of the two and in a beautiful script font. The second word is in a plain font, smaller and either vertical or horizontal depending on best fit to allow for maximum size of the first word.